Funeral planning at Mount Olive happens in conjunction with Pastor Glenn. To begin thinking about your funeral or the funeral of a loved one, check out Your Guide to Christian Funeral Planning. 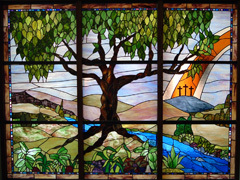 For information regarding the Mount Olive Columbarium, check out the Columbarium Brochure and the Columbarium Agreement Form.